Yes, some of the Republican opposition to Obama is racist. So what? Is Joe Wilson a racist? Many people in Washington seem to think the answer is yes--and that it helps explain the congressman's impolitic yelp of "You lie!" during Obama's recent address on health care. Maureen Dowd encapsulated the good-thinking wisdom on Wilson last week, writing, "Some people just can't believe a black man is President and will never accept it." It is just a feeling, of course, but, in my bones, I think Dowd is probably right. My intuition comes partly from the unprecedented nature of his outburst--after all, there is one particular way in which Obama differs from all preceding presidents, and I'm not talking about his belief in a public option--and partly from the history of the state Wilson represents, replete as it is with racial politics of the ugliest kind. And yet, even if Dowd and I are correct that Wilson's outburst was motivated by dislike for blacks, I'm not entirely sure that I, or anyone else, should care. Consider a hypothetical: Wilson, we can presume, would have been pleased as punch if the new black president were a Republican and were up at the podium singing the praises of small government and sending immigrants back to where they came from. This thought experiment does not exonerate Wilson of the charge of racism; what it does mean is that we are talking about a racism more complicated than the bigotries of old, a racism intertwined with other brands of animus (against liberals, against Democrats, against elites) to an extent we can only speculate about. Furthermore, it's a kind of racism whose perpetrators usually do not consciously recognize it in themselves, and would heartily resist owning up to it if presented with the charge. Given that so much anti-Obama sentiment of late (from Wilson, from the tea-partiers, from others on the right) seems to owe something to this subtle, complicated type of bigotry--and given that Democrats have begun to take notice and express alarm--I think it's worth pausing and asking: Is racism this subsidiary and elusive really worth getting exercised about? For a long time, we have been told that subliminal racism is the warp and woof of America. The press has made much of implicit-association tests, which reveal that a majority of test takers are slower to associate black people with various positive words than white ones. Researchers such as A.G. Greenwald and L.H. Krieger have extrapolated from this that America suffers from a plague of subliminal racism, which leads to negative behaviors directed at people of color. The actual literature on the subject, however, is much more ambiguous and much less pessimistic than we are often told. A recent study in the Journal of Applied Psychology by Hart Blanton and colleagues showed that, in an experiment where 90 percent of implicit-association-test-takers were slower to associate positive words with blacks, more than 70 percent of the subjects exhibited--when it came to their actual behavior--biases in favor of a black test administrator as opposed to a white one. Thus, a great many people have negative unconscious assumptions about blacks--and yet are inclined to treat black people better than whites. However one processes these findings, it is unclear that they are a coherent basis for agonized discussions of America as a country shot through with racist abuse. One might reply that such racism is still a problem because it could signal a possible slide backward into the open, destructive racism of old. But where is the evidence in this country, over the last 50 years, of such a backslide? A realistic assessment of that question should include a look at today's teenagers, who will be in their thirties with kids of their own very soon--and whose attitudes on race are markedly tolerant. That subliminal racism plays a part in some people's criticisms of our president is being addressed as a problem. I would argue that it is more realistically observed as a fact, one that is unlikely to be completely absent in any human society. We have outlawed deliberate segregation and discrimination. We have rendered bigotry socially incorrect, to the extent that it now lies somewhere between smoking and pedophilia. Can we do more than this? Do we need to? Dismissing the proposal to admonish Wilson formally for his outburst, Barney Frank quipped, "I don't have time to monitor everyone's civility." Frank is right. 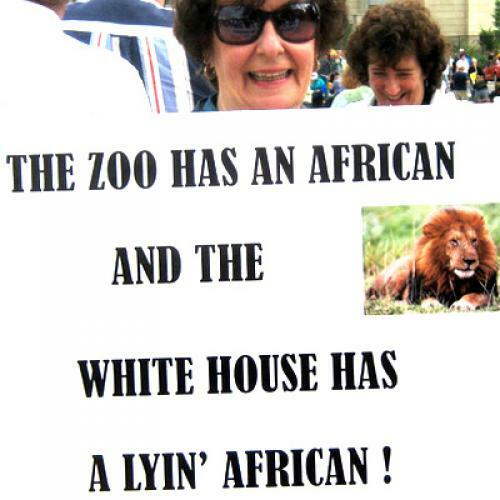 It is certainly not pretty that some people's take on Obama is likely mediated by racism. But the phenomenon is less a matter of open bigotry than a breach of civility. Who ever thought that all people would be civil at all times? And who ever thought, given the inherent imperfectability of humankind, that racism is somehow different from our other flaws and could be subject to complete elimination? No one pens doorstop volumes announcing that mosquitoes still exist. We know they do, and we assume they always will, because life isn't perfect. The issue is how close to perfect we can expect to get. Surely, health care, two wars overseas, and a deeply ailing economy are more important than mosquitoes--or whether some people's feelings about Barack Obama are less than, yes, civil.